FAT partition data recovery software recovers and rescues crucial files and folders from FAT16 and FAT32 file system. Data retrieval utility is data recovery software that helps you to recover deleted, lost or missing data from hard drives disk volumes. Graphical user interface provides user friendly interface for assuring user easiness in operation of undelete data recovery software. 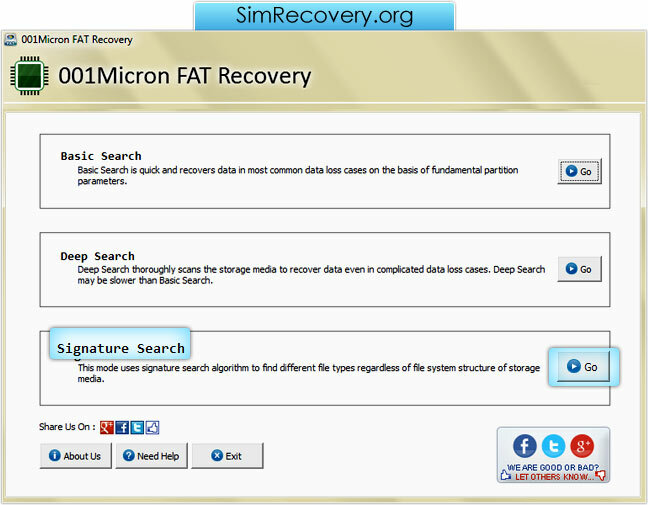 FAT data recovery software restores data deleted due to various data loss problems including hardware failure, Virus infected files, Window registry corruption, Power failure, accidentally deleted files, Corrupted boot files, logically formatted disk drives from previously existing partitions and bad sectors affected storage media. Supported Hard Disk Drives - IDE, EIDE, ATA, PATA, SATA, EIDI, SCSI etc. Supported Brands of Hard Drive - Samsung, Conner, Western Digital, Hitachi, Lacie, Fujitsu, Seagate, Maxtor, Toshiba, Acer, Quantum, Iomega, Compaq, Hewlett-Packard and other hard drive manufacturers. Supported File System - FAT, FAT16, FAT32, VFAT file system.